The Smithsonian National Zoo welcomed a 36-year-old male Asian elephant named Spike the their Elephant Trails exhibit Friday. WASHINGTON — This news is anything but irrelephant. The Smithsonian National Zoo welcomed Spike, a 36-year-old male Asian elephant, to their Elephant Trails exhibit Friday. He hails from Busch Gardens, in Tampa, Florida, and is on loan from the Miami Zoo, where he was born in 1981. Getting a baby at the Zoo is the real elephant in the room — the Smithsonian said they got a recommendation from the Association of Zoos and Aquariums’ Species Survival Plan to breed Spike with Marahani, one of the Zoo’s females. The SSP works to find individual animals across the country for breeding in order to maintain a healthy, genetically diverse and self-sustaining population. “Spike’s arrival ushers in an exciting new era for the Zoo’s elephant team,” Tony Barthel, curator of Elephant Trails, said in a news release. Barthel said it was something of a reunion for the pachyderms, since Spike lived with Maharani — as well as two other females at the Zoo, Kamala and Swarna — at the Calgary Zoo. “We will be watching Spike and Maharani’s relationship closely, and we hope they show interest in one another once again,” Barthel said. 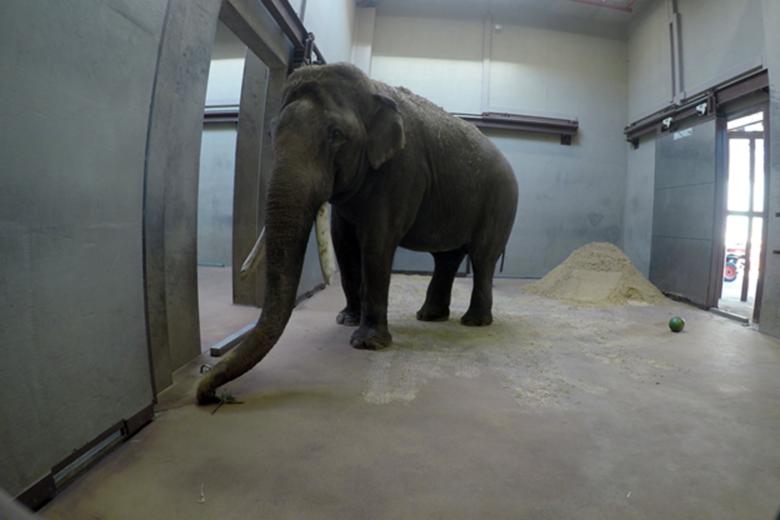 “Having an adult male elephant at the Smithsonian’s National Zoo will enhance the social experience of our herd and increase our ability to help this species through research and reproduction,” said senior curator Bryan Amaral.